Baye Ag Bakabo, a Touareg rebel and drug trafficker linked to al Qaeda’s north African wing, is a suspect in the killings this month of two French journalists in northern Mali, a Paris prosecutor said on Wednesday. 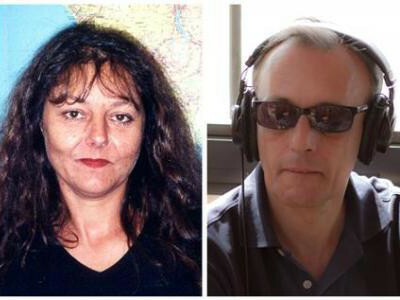 Francois Molins said Bakabo owned a pick-up truck found abandoned in the desert near the bodies of Claude Verlon and Ghislaine Dupont, both with France’s international RFI radio. Verlon and Dupont were shot by their captors shortly after being kidnapped as they emerged from an interview with a representative of the MNLA group in the desert city of Kidal, a hotbed of rebel activity. Molins said Abdelkrim al-Targui, commander of an al Qaeda brigade in the region, had ordered the kidnapping, which his forces claimed on November 6 as a reprisal for “crimes perpetrated by France and its Malian, U.N. and African allies”. French and Malian security forces investigating the murders are still searching for Bakabo. They have questioned several suspects but not made any arrests, Molins said. In January, an offensive by French and Malian forces pushed back al Qaeda-linked rebels who had invaded parts of central Mali and were preparing to assault its capital, Bamako. The operation achieved its main objectives, though rebels have filtered back into weakly patrolled towns such as Kidal.